In this article, I’ll look at some specific ways you can tailor your exercise regime to promote maximal brain health, brain development, and cognitive function. Small changes can have a dramatic impact on your mental performance! A growing number of people are becoming interested in the notion of ‘bio-hacking’. This is the notion that you can make significant changes to your physiology – through diet, exercise, pharmaceuticals, and mechanical augmentations – to enhance your performance in various ways. Type ‘bio-hacking’ into any search engine, and you’ll see how much content has been published on this concept in the last year alone. I’ll save you some time – it’s a lot! The lengths that some people will go to enhance their abilities is pretty astounding. You’ve probably heard that the Silicon Valley crowd are currently using various pharmaceuticals to supercharge everything from their creativity to their productivity. Up and coming software engineers are using powerful study drugs to keep working with a laser-like focus for 16 hours straight. Some tech entrepreneurs are micro-dosing psychedelics to nurture their creativity. Others go further – some people at the very fringe of the bio-hacking community are making deep changes to their bodies: surgeries to improve their vision; hormone injections to boost athletic performance; electronic device implants to monitor health, and so on. Of course, you also have less extreme bio-hackers. A large number of people are using natural nootropic supplements to improve their focus, memory, and energy levels. Others are doing things like brain training and mindfulness exercises to reduce stress, improve their recall, and enhance cognition generally. But you don’t even have to go this far. By exercising in the right way, you can significantly improve multiple different aspects of cognitive function. Different ways of exercising have their own specific benefits. However, exercising in any way has a generally beneficial effect on brain health and performance. I’ll now go through some specific exercise regimes and explain how they increase your brain power. If I had to choose just one type of exercise to do going forward, it would be distance running. Nothing else has the same kind of effect on your overall health, and no other kind of exercise has as much of an effect on your brain development over time. I’ll ignore the health benefits here and focus on its impact on the brain. First of all, running causes dilation of blood vessels throughout your entire body. This applies to the brain too. Dilated blood vessels mean a greater volume of blood can flow to your cells. This means more oxygen and nutrients can be delivered to these cells in less time. It’s obvious that this will lead to better brain function overall. Secondly, running has been shown to actually change the physical wiring of the brain over time. In this study, researchers conducted brain scans on competitive long-distance runners. They were specifically looking at how three resting state networks were connected. You might associate lifting weights with boring, basic, brutal workouts. Bodybuilders aren’t usually famed for their mental prowess, after all. BBut that way of thinking is totally inaccurate, and ignorant. lLifting weights are actually one of the best ways to prevent cognitive decline. More than that, it is held up as one of the best ways to promote cognitive function now. 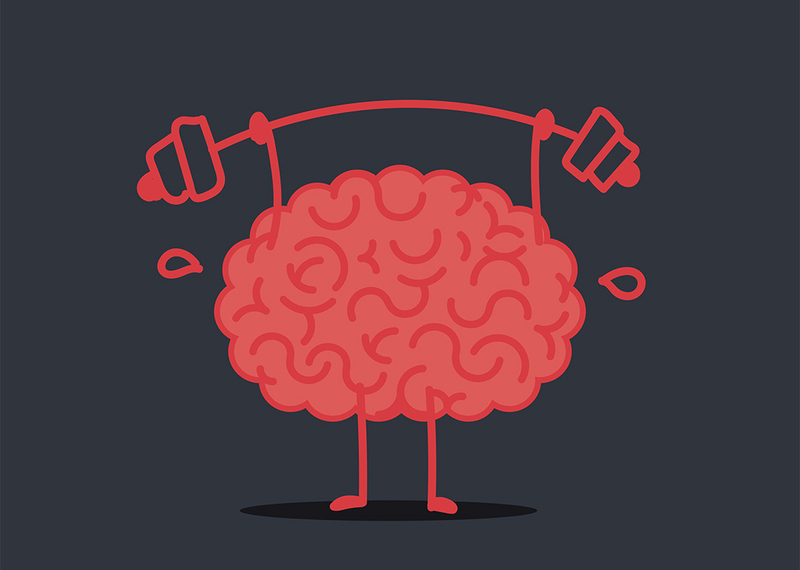 Indeed, recent research has shown that lifting weights is perhaps more beneficial for preventing cognitive decline over the long-term than walking, swimming, or jogging! As Julien suggested, this might have something to do with the determination and discipline that weight lifting demands. By swapping your usual bodybuilding routine for a more power and technique oriented weight lifting routine, you might be staving off cognitive decline for an extra couple of years. I am a professional writer and loves to write on different topics like SEO, Health, Money Making, Fashion, etc. It is my Hobby and passion.